I am starting to sound like my Mother, “When I was a kid we didn’t have….” Wii, PlayStation, video games, iPhones, etc. This coming on the tail of hearing the kids once again say, “Mom we need more batteries”! Crazy Wii remotes and gadgets. Really, when I was a kid we didn’t have all this technology stealing our time. We had to do things like use our imagination and if we wanted to play a game we had to work together rather than with a cyber-friend, and get out an old fashioned board game. I ran down to our basement and eyed up our board games, well over 50 games on the shelf. There may be one or two that need batteries for those noisy buzzers, but for the most part they are self-contained and ready to play. The games I love most are the ones that the whole family can play. Sometimes they end up teaming up with an older reading sibling. I love to play with them and that helps too to curb any potential disagreements. They do well on their own but there are a few who are pretty competitive. I love to see my younger children playing funny word games with my older ones, and then the older ones jumping in and playing a younger game for the sake of the small ones. Large families sometimes have different dynamics to keep everyone happy. 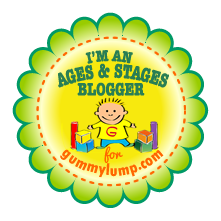 Read the rest of my guest post here at Gummy Lump Blog!! Leave me a comment over there with what you think, and your ideas for battery free fun! !